Organic bamboo toothbrush for your everyday care. In contrast with plastic toothbrushes are very comfortable to touch. The handle is made of bamboo. Bristles are composed of a nylon, ricin oil, plant-based plastic. Our Tip: When the brush is worn, cut off its head and put into communal waste. You can use the handle as a label for flowerbad. The brush body is made of Moso bamboo. Bamboo is the fastest growing plant on the earth. It contains natural antimicrobial substances and therefore it is not necessary to use fertilizers or pesticides for cultivation. 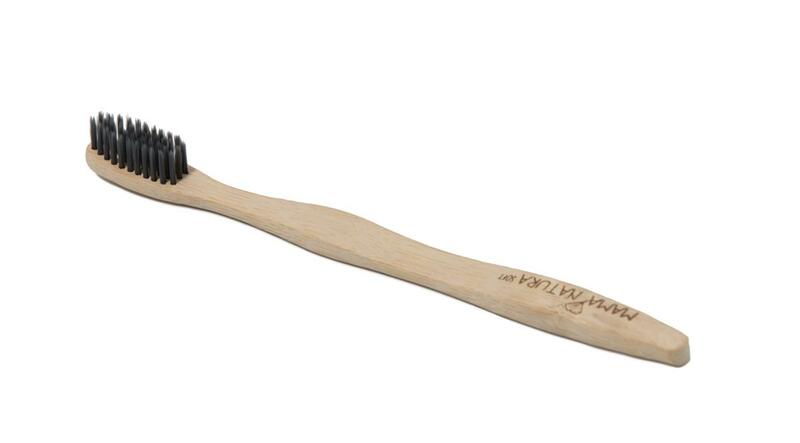 Soft bristles are made of 60% vegetable oil, ricin oil and 40% nylon. Contains a part of plant material but are still not 100% compostable. Subject * Product inquiry Toothbrush soft – bulk 10 pcs RMA Misc.